Nicholls Stevens have been helping families fund educational fees for many years. Funding the cost of the education of your children can be a major financial concern for many families. The cost of of fees can be anything between £2,000 – £8,000 per term, so if you have two or three children to educate, the costs can be enormous. In addition the cost of tertiary education is now increasing. Some Schools offer their own schemes which allow parents to fund fees up front. It may be possible to call upon contributions from grandparents. Funding of fees by grandparents can help overall IHT planning for the family. It is apparent that the cost of University Education is set to increase. 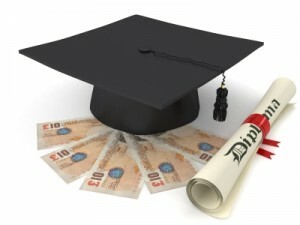 Many families will struggle financially to send their children to University in the future. One solution may be for children to attend Universities in their home city or town to reduce the cost of housing but the cost of the tuition will still need to be paid. The advantage of saving for University fees is that if you start youg, there is a good 15/20 years of investment,so this makes the scheme more manageable than school fees were the money is neeeded sooner.